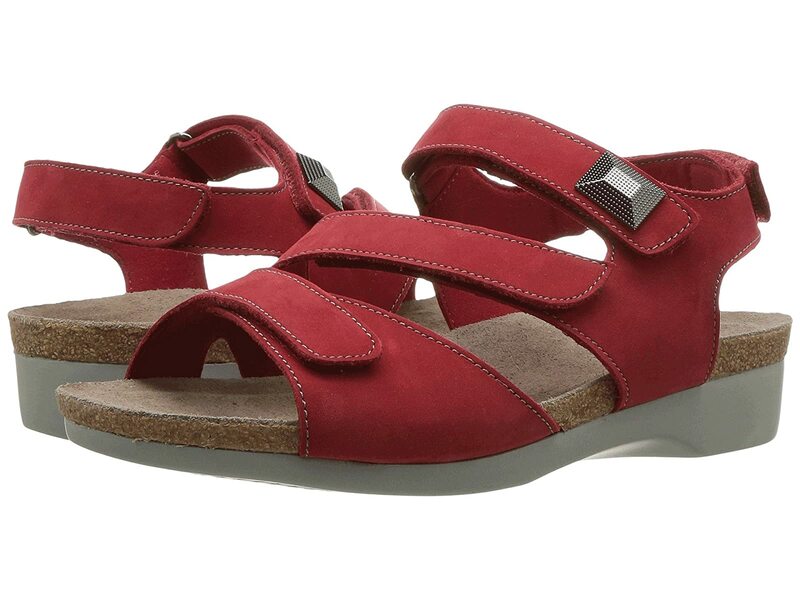 Make the stylish Antila sandal your summer staple! Nubuck leather uppers with an open toe. Four-point adjustability with hook-and-loop closures at toe, top-of-foot, instep and heel. Soft suede-covered cork and latex footbed for ultimate cushioned comfort. Lightweight and flexible, molded EVA outsole.